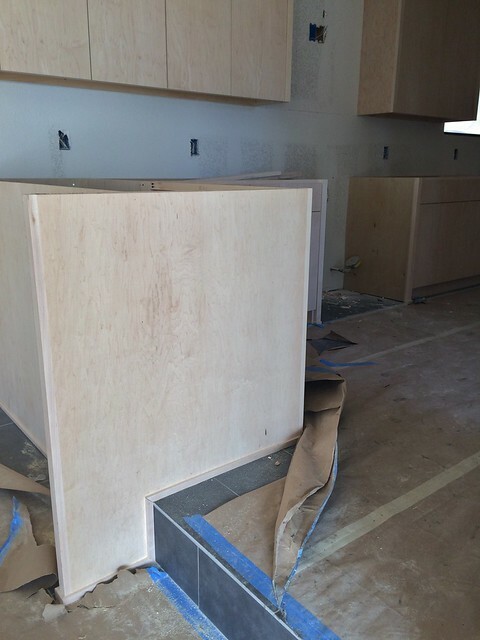 The kitchen cabinets have been installed and they are GLORIOUS!! I think they’re my favorite cabinets to date, and that’s saying a lot because I was thoroughly smitten with the bathroom vanities at our 8th and 9th flips (you haven’t seen the 9th yet, sorry!). These are modern and sleek with a flat-front full overlay profile, and they’ll be warm and gorgeous once they’re stained. Want to see them? We originally weren’t planning to remove that wall – it was a total last-minute change. 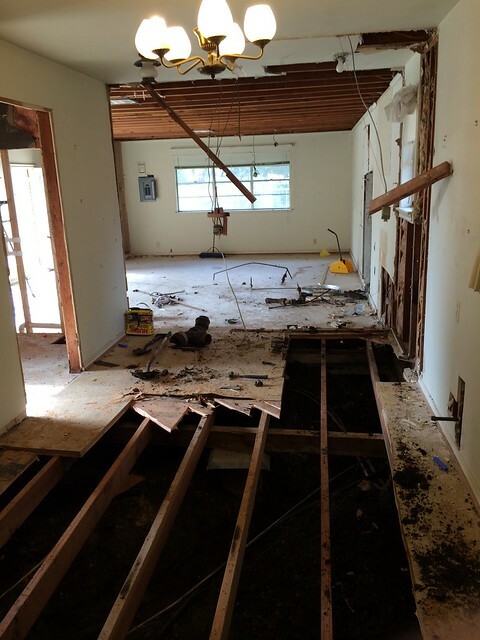 I think if we hadn’t done that, both the kitchen and the family room would have suffered. 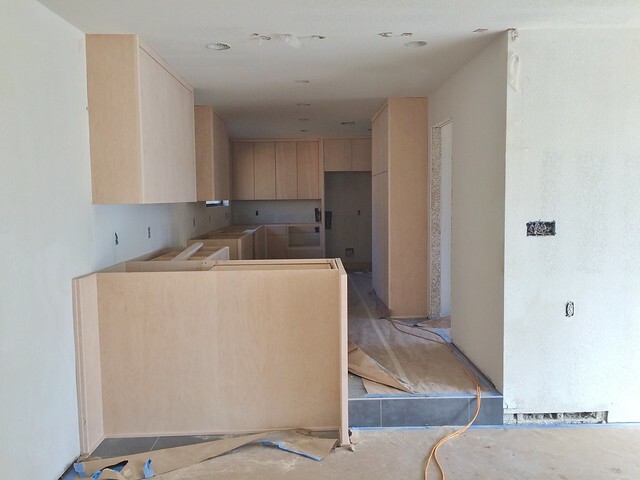 One of my favorite features is how the breakfast bar spans the step-down from the kitchen to the family room. The cabinetmakers did a really great job making the transition seamless, and I’m glad that we decided to drop the side of the cabinet down to the lower level – the thinking was that it would help the family room feel less like a garage conversion and more like it belongs with the rest of the house. 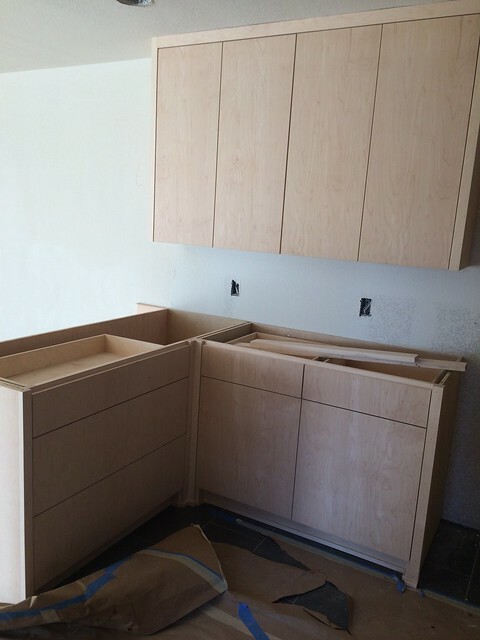 …and here are the HUGE drawers for pots and pans. The kitchen window turned out great! It’s not as huge as I thought it would be, but it brings in some much needed light (the windows are covered in plastic right now, prepped for the exterior to be painted, so the kitchen is a little dimmer than it would be normally). 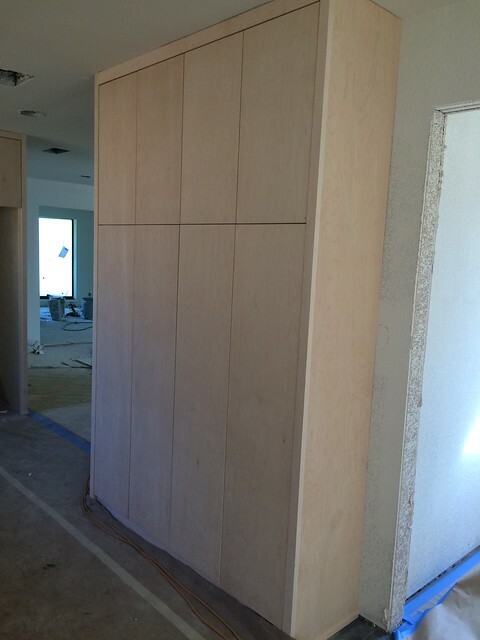 The pantry also turned out really great – it’s SO much storage! Fun fact -a fter I’d already signed off on the cabinets, I had a last-minute freak out and took 6 inches off the depth of the pantry. 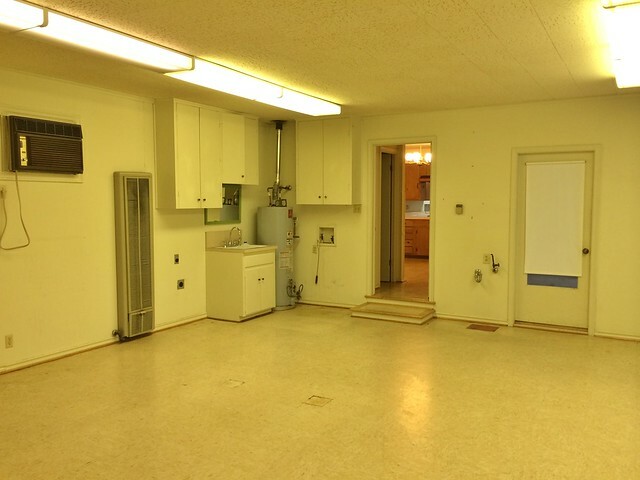 It’s still plenty deep, and I think that change keeps the kitchen from feeling cramped. Whew! I want to pet that pantry. Maybe I already have. No one will ever know. The backsplash is going to be subway tile to the ceiling, and all around the window. I hope it will look classic and modern at the same time. 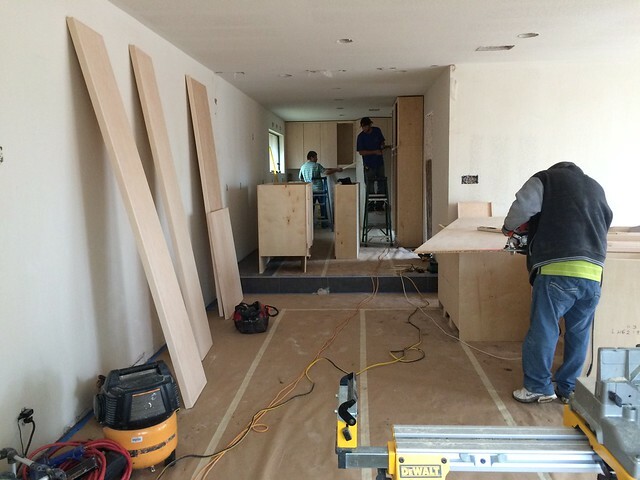 And last but not least, here’s the crew hard at work installing all of those gorgeous cabinets – it was quite a production! 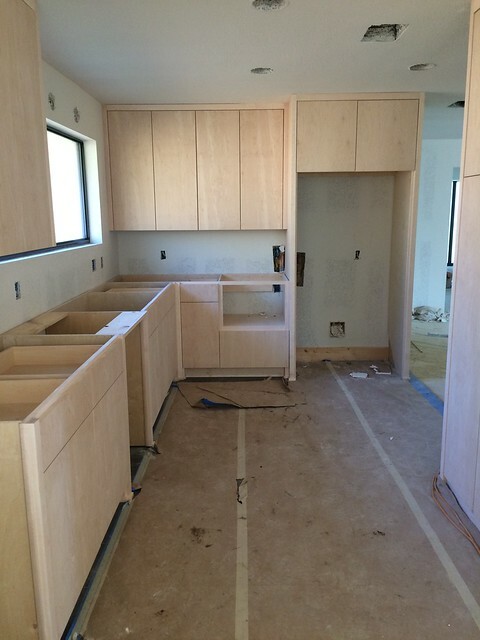 How do you think the kitchen is shaping up? Wow. Your cabinet guys did an incredible job on the doors and drawer — so much attention to detail. The grain lines up perfectly from top to bottom. They were obviously thinking when they laid out their cuts. Beautiful. I’m also a fan of the shallower pantry! I’m so jealous that you can afford so much paid help on your flips! We talk about doing this in California, but the numbers don’t work unless you pay very little for the work. Lucky you to live in Texas where it works out! You do a fabulous job reimagining these spaces! 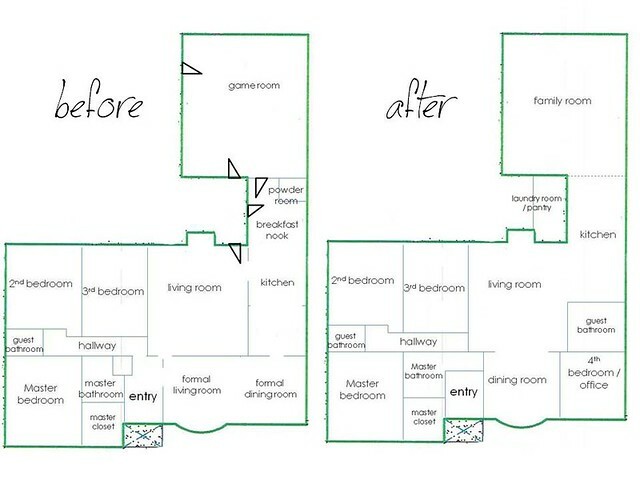 I really like this floor plan. 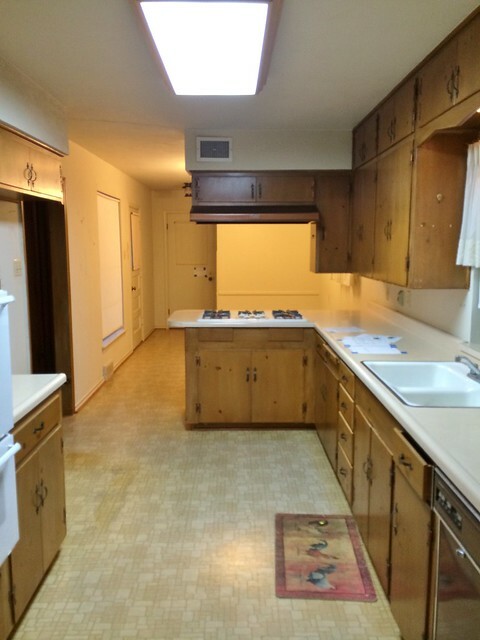 The kitchen is convenient without being completely open to everything. 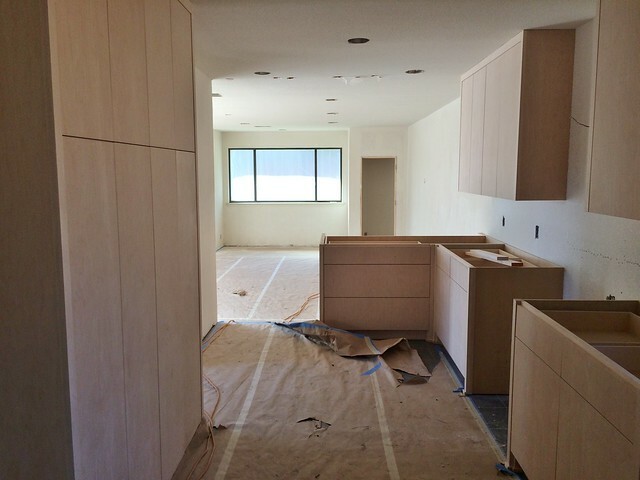 I get the open plan idea, but I like my closed off kitchen (not as closed off as yours was!) for hiding messes while I’m cooking. Good idea to make the pantry shallower. You’ll never miss those 6 inches. Great cabinets, too! 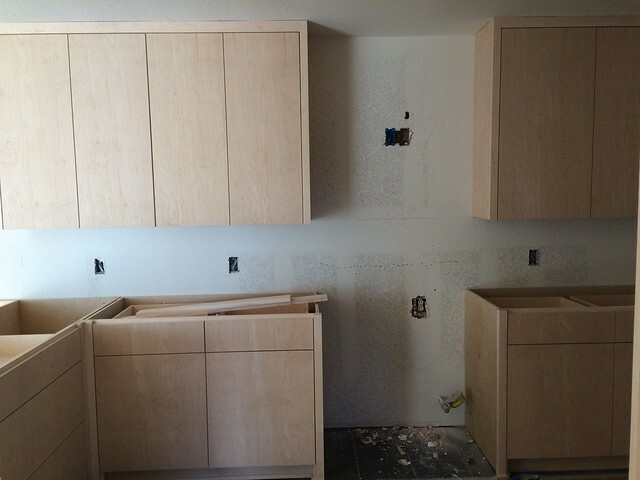 Your cabinets are looking good. I’m curious what color they will be after they are stained?? I have flat front cabinets that are a blond/honey blond wood color and I’m struggling with what to do with the back splash and wall color. 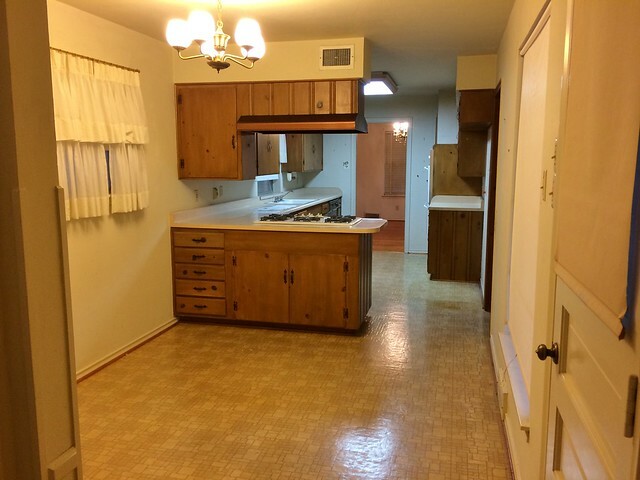 I’ll be interested to see how this kitchen turns out. Wowsey! Talk about changes . . . everywhere! Love the cabinets, and think you were right to slim down the pantry. My favorite from everything is the family room. How divine is that?!?! Now I am starting to get a feeling for the final fabulous product! Lovely cabinets! I like pale wood a lot. I’m glad you mentioned the window was covered in plastic, making the room a bit darker than it ultimately will be, b/c I was going to suggest you install one or two Solatubes in the kitchen to make it brighter, like the family room is bright. Is this a more economical way to get this look? I love it, just love it. Is it Plywood? 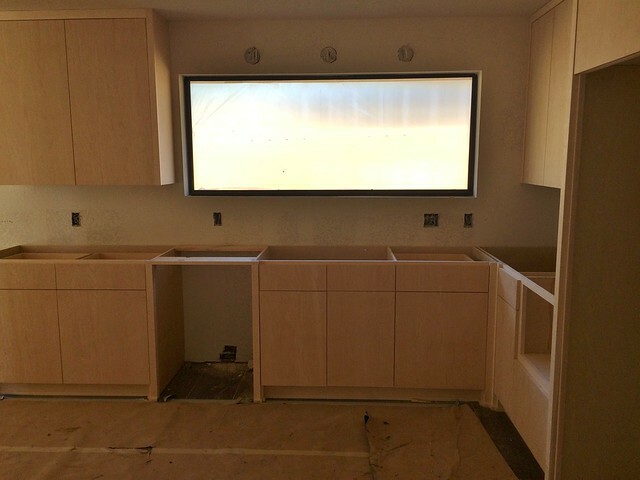 Would you be willing to share some more in depth information on these cabinets!!!! I was thinking about going with Ikea to get the same general look and perhaps some custom doors that work with the Ikea, but this looks sooo awesome. Those cabinets do look soft and I also would like to pet them;). What type of wood are they? I love seeing the progress of flips. I’d be no good at it personally but that’s why it’s fun to see others do it:). I’m not going to go as far as wanting to pet them, but I do like the look of the cabinets for sure. Hi, Liz! It’s been a while! Love the home rescues, especially the latest kitchen design posted above. You are an inspiration! Wow, this place is coming a long great. 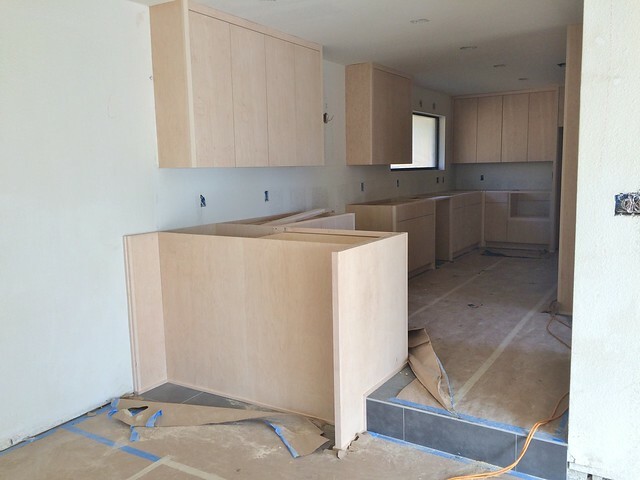 I can’t wait to see what the cabinets look like once they are stained. The window was also a great addition. Thank you for all the pictures. 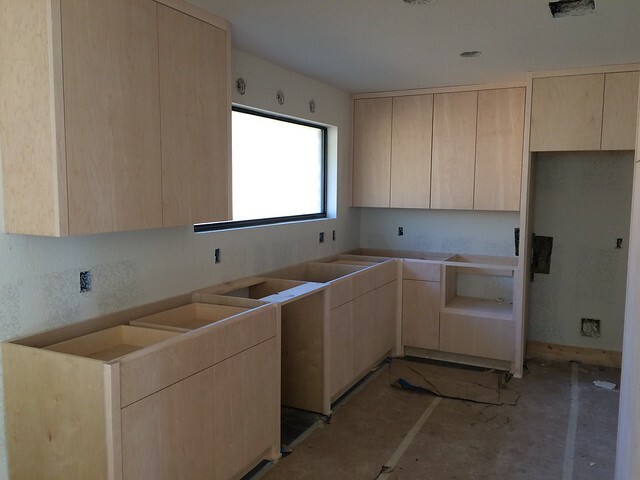 Wow, even with only their original forms, the cabinets are certainly looking good! And it was indeed wise to just take down that wall. Great job so far! Who is your cabinet builder for this project? They’ve done a fantastic job! I double and triple-checked my email, but couldn’t find your message! 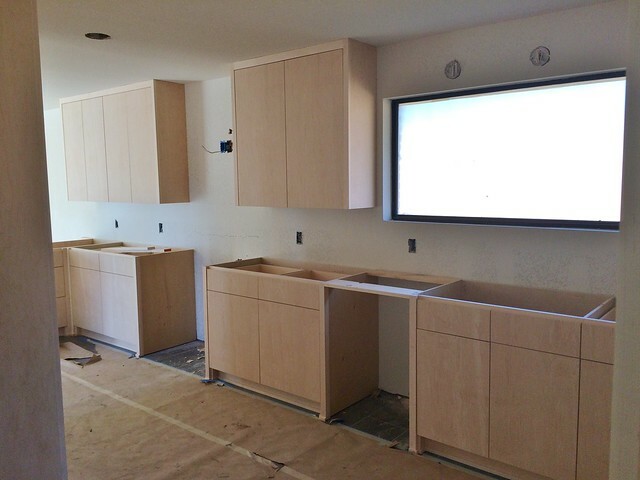 Nice cabinets. Great stuff, but I’ve one question in my mind. Your kitchen and dinning room has big distance. 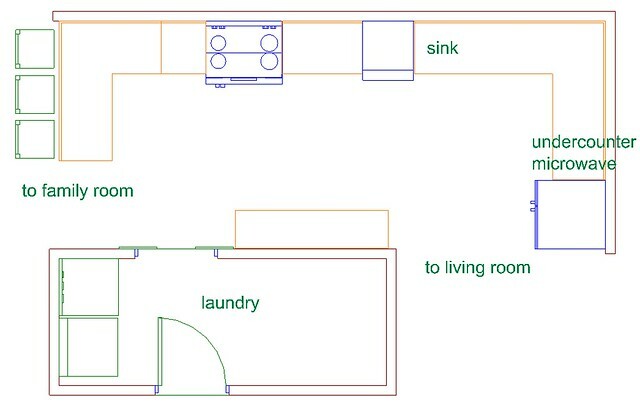 I think you have to manage guest room in place of dinning room according to your new plan. 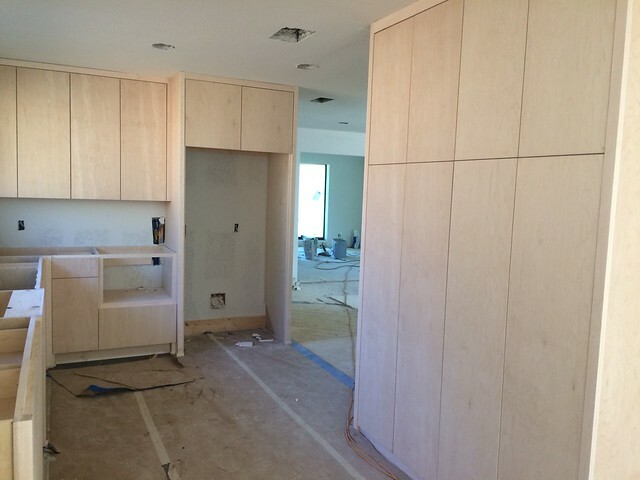 I’m renovating a house in Fort Worth and I’d love to have the name of your cabinet maker. I have a design and I’m working out what type of cabinets to use (custom/semi/stock). Do you always use the same cabinet maker on each project? Have you ever used IKEA in a kitchen? Hi Debra! I’ll send you an email about the cabinet maker – and no, they’re the third company we’ve used and we’ve really liked their work. As for Ikea in a kitchen, we’ve used them in bathrooms (on this flip!) but not in kitchens – but check out the series on House*Tweaking about Ikea kitchens, that might help.